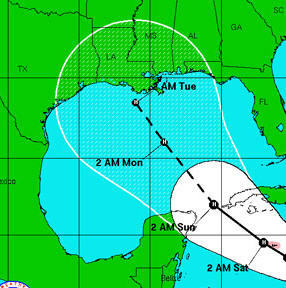 Imagine waking up to news that the big hurricane everyone along the entire Gulf Coast has been worried about has turned your way and will be pelting your community and your home with 110 mile per hour winds in about 12 hours. Of course we hope this never happens, but high winds, tropical storms and hurricanes are a dangerous fact of life up and down the entire Gulf Coast. When storms and hurricanes strike, as you know they will, without hurricane or storm shutters in place, you may waste hours standing in line with hundreds of others hoping to buy plywood before every place sells out. After chasing lumber for hours, you get to dust off your tools and risk injury scurrying up and down a ladder to protect your home before the storm blows in. Of course you have an alternative. 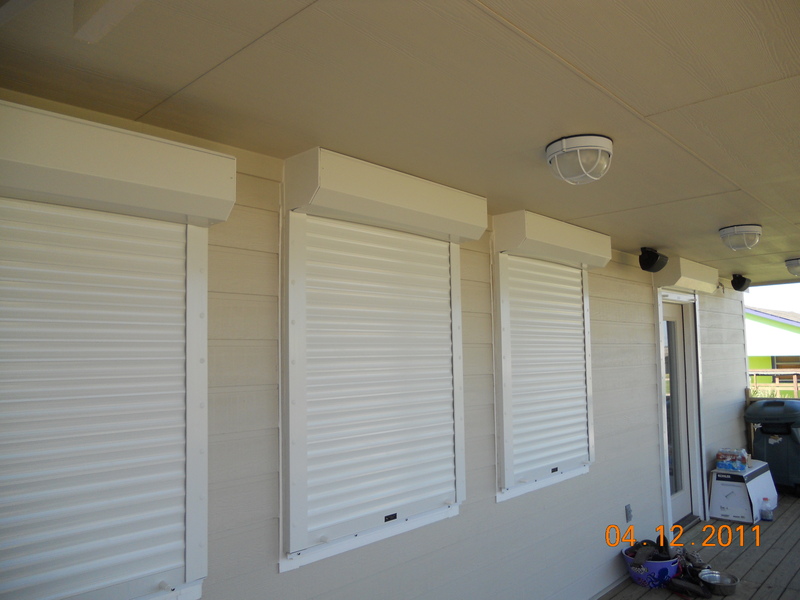 With rolling hurricane shutters, accordion storm shutters or attractive storm-rated colonial or Bahamas style storm shutters installed on your home, protecting every window and door from 110 mile per hour winds takes about five minutes. The fact is, protecting your home or commercial property with hurricane shutters, storm shutters or security shutters is just plain smart. 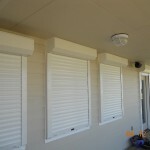 But when deciding to protect your home or commercial property with storm shutters, hurricane shutters or security shutters, there are some things you need to know about how to choose the product that best meets your needs. Of course you want the best price, we all do, but when it comes to choosing storm shutters, especially motorized storm shutters, unless you know exactly what you’re getting, the lowest upfront price may quickly turn into the most expensive storm shutters you can imagine. As John White of John’s Shutters and Repair explains in the above video, it is important to compare apples to apples when considering bids for storm shutter installation. If the cheapest price means you receive motors too small to lift the weight of the shutters dependably over time, then the low price today turns into a costly motor replacement in what seems like no time. If the cheapest price means you receive shutters that fail to meet the Texas Department of Insurance testing standards, or barely meets those standards, then you run the risk of your shutters failing at the exact time you need them the most. John’s Shutters and Repair is a licensed manufacturer and distributor for USA Shutter Corporation, one of the leading hurricane, storm and security shutter manufacturing and design companies in the world. Shutters from John’s Shutter and Repair are made to the exacting standards of USA Shutter Corporation with strong extruded aluminum panels and high quality motors that will perform dependably and lift the weight of your shutters effortlessly for years. John’s shutters meet or exceed the Texas Department of Insurance standards and meet or exceed the FAR MORE STRINGENT Miami Dade and Broward County Fl. High Velocity Hurricane Zone Standards, which means storm shutters from John’s Shutters and Repair are rated to withstand hurricane force winds up to 185 miles per hour. Storm shutters are a smart investment because they protect your home from potentially serious damage. And when it comes to protecting your home, John White, owner of John’s Shutter and Repair, believes the most important issue is not the cheapest price, the most important issue is value. You don’t want just a hurricane shutter. You want a shutter that is strong, attractive and long lasting. You want a shutter that will hold up to the most extreme conditions and work the way it was designed to every time. What you really want is value, dependability and peace of mind at an affordable price. 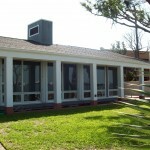 At John’s Shutters and Repair we’ve got what you’re looking for. Contact us at 409-939-5135 for a free no obligation quote and be sure and enjoy all the videos and other information on hurricane, storm and security shutters on this Web site. John’s Shutter and Repair serves Galveston, Texas City, LaPorte, Kemah, Pasadena, Houston, Alvin Pearland and the entire Texas Gulf Coast from Beaumont to Rockport and Corpus Christi Texas. Your questions are welcome! Contact us and we’ll explain options and discuss solutions to protect your home or commercial property from storms and break-ins and give you peace of mind when a hurricane approaches or you’re away. Leave a message in the SPEAK YOUR MIND section below. If you want us to call, be sure to leave your contact information and the best time to call. SPEAK YOUR MIND is a way to communicate quickly, easily and privately.